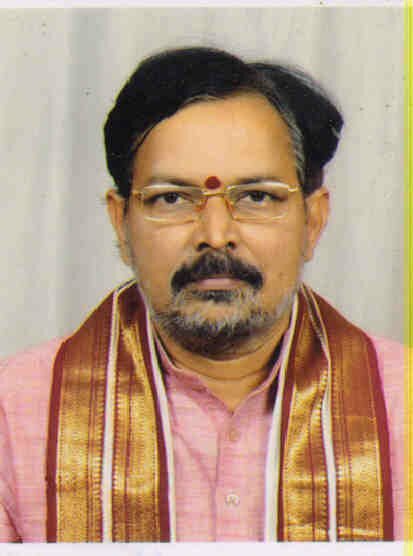 Shri Dyvagna Ponnaluri Srinivasa Gargeya, an eminent astrologer hails from a traditional telugu brahmin family learned vedic astrology from childhood and having experience nearly of 4 decades.He has been writing suryasiddanta PANCHANG (almanac) since 20 years,which is recognized by the Indian government in 12 different languages. Sidhanthi garu was first drawn to astrology during his childhood . As early as ten years of age, he used to listen to panchang readings in temples which first sow the seed to learn Panchang. And later it ignited into life long passion to learn astrology and serve people with dignity and dedication. He stands out among all the astrologers for mere fact that his passion to rebuild the lost trust on this phenomenal and occult science among the common people irrespective of caste, creed or religion.He is known worldwide for his simple and effective tips which can be followed not only by the rich but also by the poor and desperates. One has to see or do the remedies to believe it. You can find all the real success stories written as letters which are read by sidhanthi garu on a famous telugu devotional channel. He has made innumerable astrological predictions which have been published in various national newspapers, and also written monthly forecasts for many magazines like one magazine for Indian Railways.He actively participates in Live debates on countless telugu channels. He is the ONLY astrologer, you will ever find who doesn't use a computer to calculate a person's rashi and nakshatra including padas even in this era of fast pace which shows his excellence and expertise in the subject. Even after 40 yrs of experience didn't lose his ground. His modesty and humility are in tact which shows his character. He was honoured with 3 Suvarna Ghanta Kankanas(3 golden thick bangles). He has consecrated 300 and above deity idols(trishatadhika pratishtacharya).He is also been honoured with the most prestigious award of Trikalagyana Vibhushana for having the knowledge in 3 kalas(past,present and future times). He is Kurtalam Sidheshwari peetha aasthana sidhanthi and a devotee of great goddess(Maha Shakthi upasakulu). He is also panchanga writer of Durgganith which is recognised by Indian governement and also a regular astrological consultant on devotional channel. He gives spiritual and astrological discourses and commentaries in many television channels. He also conducts a daily astrological LIVE show in prominent telugu devotional television channel. He has been awarded numerous awards for his excellence by eminent personalities. He is great research scholar in astrology. He is working as a Asthan Pandit for Sri Kurtalam Siddeswari Peetam, Kourtalam, Tamilnadu for over 11 years. He has given advises to many more cine and political people. He has countless admirable followers around the world. Gargeya ji played a major role to get a successful judgement given by the Supreme court, dismissed a special leave petition filed by a Hyderabad scientist and two others challenging The university Grant Commission’s decision to introduce astrology as "SCIENCE" in the universities.